HMD Global has achieved another feat. 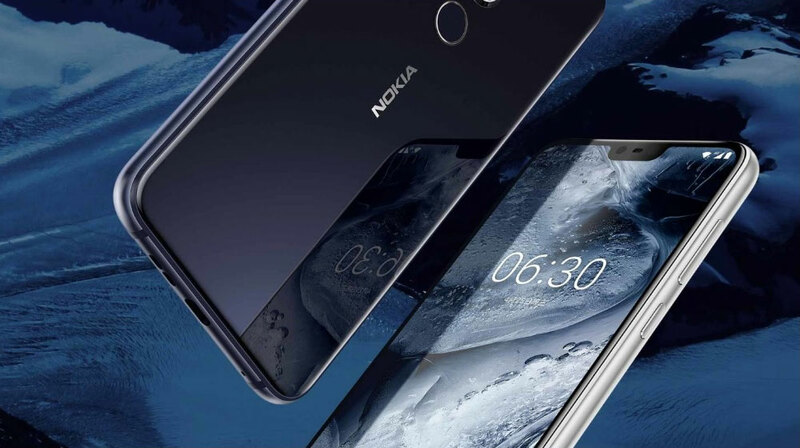 Its latest phone, the Nokia X6, which went on sale in China today, has been sold out within 10 seconds. The news was received after HMD revealed this through the official Nokia Mobile Weibo account. The Nokia X6 would not have sold out had it not been for its impressive hardware specifications and the affordable pricing that comes with the entire package. 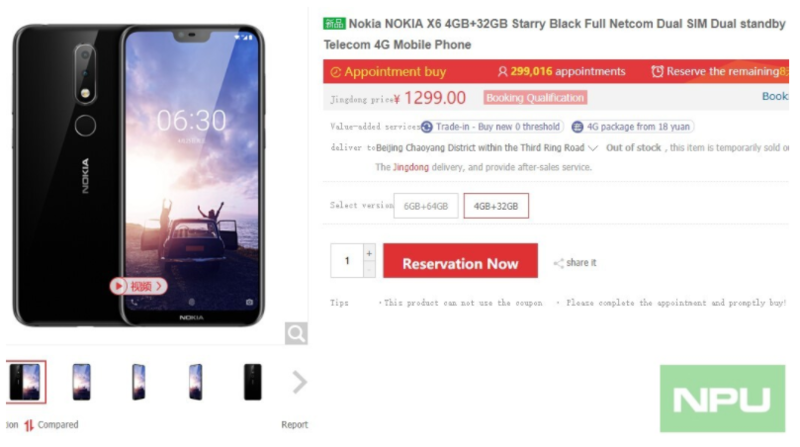 The next sale is expected to begin on May 30 and a lot of reservations have already been made for the Nokia X6. The aggregate of the reservations number listed by Suning and JD is more than 700,000 for all the variants of the phone. Suffice to say, the Nokia X6 has garnered a lot of interest and the impressive first results should attract even more attention to the device. Hopefully, HMD will release more devices in other markets very soon. HMD has been trying to gain a foothold in China for a long time but has largely been unsuccessful but now it seems that its efforts are finally beginning to pay off. As confirmed in a Twitter poll taking place some time back, HMD will release the Nokia x6 internationally too. Unfortunately, the company has not yet provided details related to pricing or the variant that will be sold in different markets. Coming to the specifications, the Nokia X6 is the first Nokia phone to feature a notch and it sports a 5.8-inch display with a resolution of 2,280 × 1,080 in a 19:9 aspect ratio. The phone is available in three RAM variants; 3GB, 4GB, and 6GB with the two internal memory options being 32GB and 64GB. The memory can be expanded to 256GB with a microSD card. The phone is fueled by a 1.8GHz octa-core Snapdragon 636 SoC. It runs Android Oreo 8.1 right off the bat but it will be upgraded to Android P when the OS update is launched officially. The phone also comes with a dual-camera on the back with a 16MP + 5MP pairing, coupled with a 16MP selfie camera. The battery capacity is a 3,060mAh that also supports Quick Charge. For its specifications, the Nokia X6 is certainly a force to be reckoned with. Do you think it will give other mid-rangers a run for their money if the device is officially available in the U.S? Tell us down in the comments. Nokia 9 PureView Could Be Named the Upcoming Flagship From HMD Global – Multiple Camera Lenses Inbound?